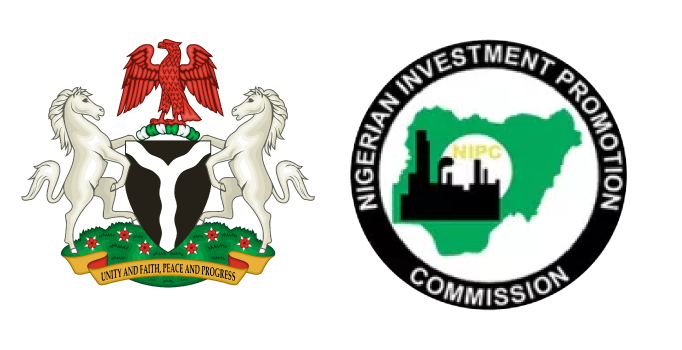 THE federal government has declared new commercial incentives for investors willing to stake about $3.5b or N1.43 trillion in capturing value from the nation’s gas flare sites. The new plan de-emphasises prevailing ‘punishing’ disincentives and involves fresh investments in both domestic and export gas projects as state agencies fight to capture and convert some 324 billion standard cubic feet (scf) of natural gas flared at oil production sites yearly to economic development catalyst. According to the Department of Petroleum Resources (DPR), which hosted industry reporters to a workshop in Lagos, the gas valorization plan captured in the National Gas Flare Commercialization Programme (NGFCP) seeks to recover some 888 million standard cubic feet of flared gas per day (scfd) for productive application. Mr. Olwoleola Ogunsola of the Gas Monitoring and Regulation unit of DPR who delivered a presentation at the event said the volume of gas planned to be recovered from flare booms would be sufficient to not only generate adequate energy to drive national social, commercial and industrial development but also stimulate job creations and productivity. In explaining the economic opportunities Nigeria has lost annually to routine gas flaring, Mr Ogunsola explained that the volume of flared gas is equivalent to over 50 million barrels of crude oil, could feed two-three liquefied natural gas (LNG) trains, or produce 600,000 metric tons of liquefied petroleum gas (LPG) or cooking gas per year. If applied to power generation, he continued, flared gas volumes would be adequate to fuel generation of 2.5 gigawatts (GW) of electricity, enough to meet electricity needs of the entire Sub-Saharan Africa. In analyzing the pollution value of gas flare in Nigeria, Mr. Ogunsola said burning the resource at oil production sites pumps whopping 22 million tons of carbon dioxide into the environment while reining the volume into productive use could earn Nigeria a princely $350 million or N126 billion. “It is in view of these losses and environmental damage associated with flared gas that the Federal government came up with the National Gas Flare Commercialization Programme (NGFCP) to harness the flared gas and put it into productive use. Under the NGFCP, the Federal Government will seek qualified investors with financial, technical and technological expertise to harness the flared gas,” Ogunsola said. The programme, he said, carries investment budget of $3.5b, which when translated into production could provide six million households access to clean energy and generate over 300,000 jobs in the local economy. The government has since the 1990’s floated a string of policy measures to harness associated gas for economic application through various monetization programmes. Some of the positive outcomes of the policy intervention include evolution of the Associated Gas Fiscal Arrangement (AGFA), which laid out package of commercial incentives that led to oil companies in the country to commit funds to gas investment plans. There was also the Non-Associated Gas Fiscal and Regulatory Act (NAGFRA), which provided incentives for export projects, including Liquefied Natural Gas (LNG), export pipelines, gas-to-liquid projects, natural gas liquid (NGL) projects and lease condensate developments. The was also the Nigerian Gas Masterplan (NGMP), which laid the format for commercial investments in national gas reticulation grid network conceived to create industrial development corridors that would be based on sustainable gas energy. More recently was the Gas Revolution programme designed to position government as lead investor in creation of gas-based industrial parks that would host manufacturing concerns that rely on adequate energy supply that is founded on gas. In addition, government enacted new regulations that permit oilfield development approvals only on the basis of no routine flaring of associated gas. This means that new oilfield development projects must carry associated investments in gas utilization projects that would harness associated gas for monetization. Besides, the existing penal deterrence to gas flaring has been sustained. However, the gas flaring fine which was initially two kobo when introduced in the 1960s, was later increased to N10 in 1979 and remained so for a very long time. But in a recent regulatory directive, N10 fine is applicable for gas being flared below 1000 scf. Government increased penal sanctions on gas flaring to $2.0 or N720 per 1000 standard cubic feet (scf) in an attempt to enforce zero routine gas flaring at oil production sites in Nigeria. The target of the government is to reduce gas flaring in the country to the lowest ebb by the year 2020. Despite all the policies, measures and programmes, routine flaring has only reduced but not stopped as the country still has about 139 gas flare locations in onshore and offshore oil fields across the Niger Delta. Flared gas constitutes about 11 per cent of the total gas produced. Ogunsola said although Nigeria’s gas flaring level is dropping, the quantity of gas flared in 2017 was as high as 324 billion standard cubic feet (scf). According to him, about 888 mscfd was flared in 2017 despite Nigeria’s efforts at increasing utilization and commercialization of associated gas over the years. The marginal declined in the volume of flared gas has brought Nigeria’s ranking from the world’s fifth highest gas flaring country to the current seventh position. Mr. Ogunssola stated that government was seeking investors that would take advantage of incentives floated under the NGFCP to deploy technology and expertise in monetizing associated gas in Nigeria. He explained that the NGFCP is key to Nigeria’s flare-out agenda with a target for zero routine gas flaring in Nigeria by 2020 as well as erase environmental impact on communities in the Niger Delta.